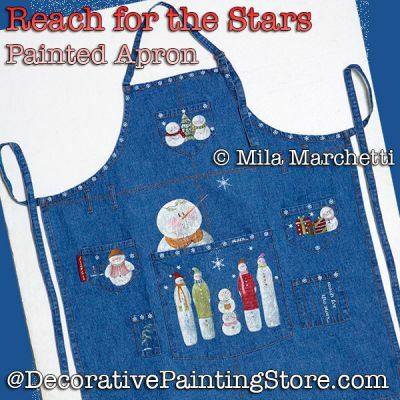 A variety of snowmen designs on denim apron or your choice of surface. Paint the individual snowmen on pillow, sweatshirt, ornaments, tea towels, canvas, boxes, etc. You can enlarge or reduce the drawings. DecoArt Americana Acrylics. Beginner level.